The supply of electrical power, power generation, has become paramount to the success of daily activities. With several developing areas still lacking consistent electrical grid power supply, independent fuel-powered engine generators have become increasingly crucial to fill the subsequent energy gap. Generator sets are individual units that supply electrical power for various uses: as backup power for shops, restaurants, offices, farms; for residential use and with outdoor activities; as well as to power various social activities and centres. They are available in a wide range of models with power outputs ranging from 700 to 15000 Watts. 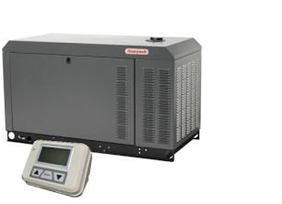 Standby generators are permanently connected to a home or business and their existing power lines. A standby generator can power critical and sophisticated appliances in a home or business including lights, heating/cooling systems, refrigerators, pumps, security systems, amongst other. They ensure a homeowner's quality of life by keeping the electricity flowing in the event of any power failures that result from either a standard service disruption or a natural disaster, such as a storm. A standby generator can even serve as a primary energy source for homes built off the main grid. Depending on the size, a standby generator can power an entire home or business or a few key units including light bulbs, specific mains sockets, refrigeration units and/or air conditioning units. 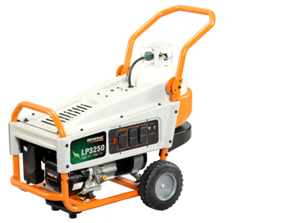 Portable LPG generators offer the benefits of a traditional generator but in a portable form and usually on a smaller scale. These are also available in various sizes providing flexibility to fit power requirements and location of use. They are popularly used on camping trips, on construction/job sites, domestic projects requiring additional/backup power supply as well as to power outdoor/open air markets amongst others. 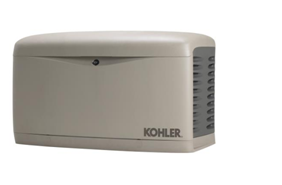 LPG standby generators are housed outdoors, usually adjacent to a carport or other non-living space. Often air-cooled, they draw energy from the home's LPG storage tank or permanently connected cylinders. Generator features tend to vary with size, manufacturer and model however there are several notable features and capacities that have been more recently developed that make LPG generators the top choice for off-grid power generation. Gas generators are versatile and offer multiple fuelling options; LPG, Natural Gas (NG), combined LPG/NG and even biogas. 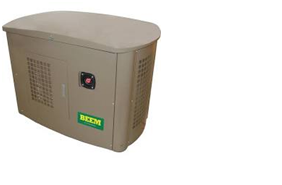 Newer back-up generator models now include a transfer switchboard which monitors utility power levels and automatically transfers the electrical load to the generator if power is lost, protecting the home or business even when no one is there. Manufacturers of the larger stand-by units tend to provide bespoke noise-cancelling housing units for the generator models. Cogeneration units are now available that produce heat in addition to electricity. 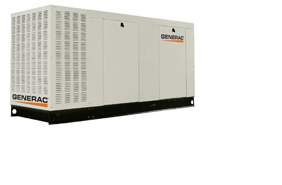 Premium generator sets are designed to work in tandem with off-grid renewable energy power generation technology. 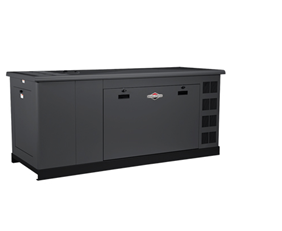 Energy-efficient LPG generator sets can be easily combined with solar, wind, or other renewable energy resources to create reliable, environmentally friendly hybrid energy systems for residential and commercial off-grid applications. Did you know that a normal petrol powered generator can produce up to a hundred times more colourless, odourless and tasteless poisonous carbon monoxide gas than a modern car’s exhaust? Recent reports recommend that petrol generators should not be operated within 10 metres of a premises. 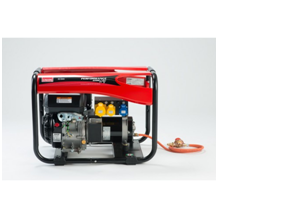 Petrol/diesel generators require explicit warning labels, warning the consumer of the dangers of carbon monoxide poisoning associated with operating a portable petrol/diesel generator. Clean – LPG generators produce soot free emissions, no smoke, no smell and are a greener solution for people and the environment. At atmospheric pressure, the LPG used to fuel the generators vaporizes, virtually eliminating the risk of spillage. Reliable - LPG does not degrade over time and no stabilizers are needed, so the fuel can be stored indefinitely (in tanks and cylinders). 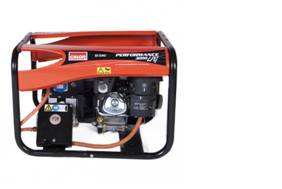 LPG Generators also offer higher durability and are consumer friendly. Available – Since standby generators connect to your existing LPG lines, you don’t have to worry about running out of gasoline and diesel which may not be available during a power outage. Economical – LPG is more efficient and, in most places, less expensive than gasoline. LPG generators will also save the owner money - up to 70% on running costs and also significantly on replacement and repair costs because they experience less wear and tear. Versatile – LPG generators are simple to use and multipurpose in function. Some standby generators can even be used as prime power for homes in remote locations. 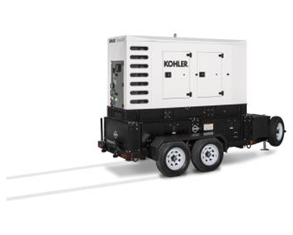 Mobile – Portable generators have wheels enable them to be easily moved from place to place. Safe – Owners are not required to handle the filling and refueling; therefore, there are fewer opportunities for fire hazards with a LPG generator. 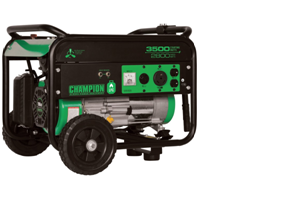 When your LPG generator is out of fuel, simply replace the cylinder with a new cylinder of LPG and reconnect to your generator.